The most compelling stories that emerge from EVE Online are usually tales of player-based conflict, dastardly deals, and political intrigue, but the game’s core lore and storyline is actually incredibly interesting. Beyond the back-story of the four races of New Eden and the conflicts between them and the pirate factions of EVE lies a grander story spanning the depths of time and space. Ancient civilisations have been lost and found again, and bizarre theories have been spun about the obscured history of all the descendants of Earth. For players of EVE Online, the twists and turns of this grand space opera are more than just a cool backdrop for zooming around the galaxy in spaceships smashing things to bits. These stories take place in-game, evolving through the actions of players and in response to player theories about what might be going on. Each new piece of the puzzle revealed over the past several years has been accompanied by new gameplay and content to explore, and the latest revelation of a message from the Triglavian Collective indicates that something absolutely mental may be about to happen. In this colossal edition of EVE Evolved, I delve into the entire history of EVE‘s current storyline, put the recent Triglavian message into context, and draw some conclusions about where the story may go. The original story of EVE is told through the Origins introduction video and most players will be familiar with it. Ruthless corporations from Earth rose to power in an age of space-faring technology and began colonising the galaxy, building stargates around suitable stars and claiming worlds for themselves. When they eventually ran out of new stars within reach, the corporations turned on each other in savage wars over limited resources. They eventually discovered a natural wormhole leading to the space we now call New Eden and began expanding into this new territory and terraforming worlds, until the wormhole collapsed. Cut off from the supply lines and their home worlds, most of the colonised planets died out and most of the civilisations collapsed into a dark age. Millennia later, the survivors on several worlds re-discovered space flight and emerged into a galaxy filled with stargates and the dead remnants of previous colonies. Those survivors became the four empires that we know today: the Gallente Federation, the Caldari State, the Amarr Empire, and the Minmatar Republic. They’ve had long and bloody histories of their own and have been engaged in a technological arms race for a long time, but they weren’t the only people to re-colonise New Eden. The Jove Protectorate actually survived the collapse of civilisation and retained its technology, building an empire in the Curse region. They used genetic enhancements and fell victim to something called The Jovian Disease as a result, and they eventually left the region in three massive cryo-motherships to look for a new home and a solution to the disease. Other ancient civilizations have left remnants of their technology throughout space too, such as the Yan Jung, Talocan, Sleepers, and Takmahl. 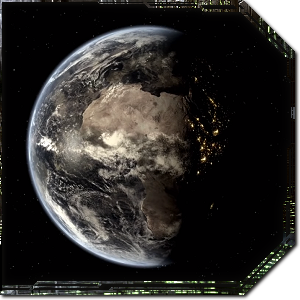 At least one of the Jovian motherships re-established an empire in the J7HZ-F and A821-A regions of New Eden, isolating themselves from the rest of the cluster but still occasionally interfering with the other races. It was these Jovians who gave us the Capsule technology that allows capsuleer pilots (players) to be transferred into new clones on death, initially giving it to the Caldari Ishukone corporation. They also fought off an attempted invasion by the Amarr empire at the Battle of Vak’Atioth and helped to found the CONCORD police division that keeps high-security space safe. When unstable wormholes began appearing all across New Eden with 2009’s Apocrypha expansion, we found hints of what had happened to at least one ancient race: the Sleepers. Wormholes led into star systems filled with the ruins of Sleeper structures and defended by hordes of AI-controlled Sleeper ships. Expeditions into the Sleeper ruins discovered bodies in suspended animation pods that may have been there for thousands of years, and incredible implants were recovered from these bodies that allowed consciousness transfer on death without the use of the Jovian pod technology — this is where the ground troops of DUST 514 got their cloning capabilities from. The wormholes that lead us to Sleeper space (which has come to be known as Anoikis) are random and temporary in nature, but there were hints that they were artificially generated by structures inside Sleeper space. In the lead up to 2010’s Incursion expansion, we learned that pirate faction Sansha’s Nation had somehow found a way to control wormholes, and was using them to bypass the empire’s defenses and abduct citizens from colonised planets all around the game. An image later emerged of a massive Sansha fleet next to Prosper Vault, a Jovian space station in the 3-CE1R system, sparking theories that Sansha’s Nation may have used its control of wormholes to invade Jove space. 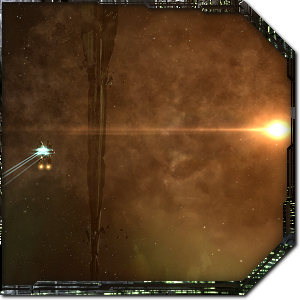 Fast-forward to 2014 and some bizarre things started to happen in New Eden. A bright star (named Caroline’s Star after its discoverer) appeared in the sky, like a supernova but visible from every point in the EVE universe at once. Players managed to figure out that the star was somewhere near Jove space, and all of the stargates in Jove space then mysteriously deactivated. Shortly after, players found massive cloaked Jove structures beginning to decloak throughout known space. 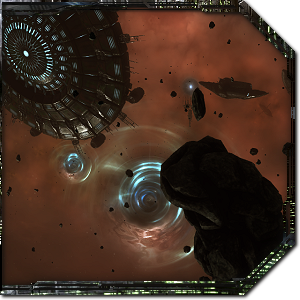 Players scanning the Jove outposts discovered data logs that indicated the Jove had been keeping tabs on the four empires, and soon Sleeper AI drones named Circadian Seekers began appearing in these star systems and scanning the Jove structures, player structures, and passing ships. The story took a bizarre turn in 2015 when we discovered that the Circadian Seekers had begun collecting player corpses left in space after battles, and they were later discovered dismantling the now-decloaked Jovian structures and harvesting something from them. This is where the Drifters came in and the story began to get very real. Drifter battleships began appearing in star systems with Jove outposts in them and literally nuking players with a massive beam weapon. 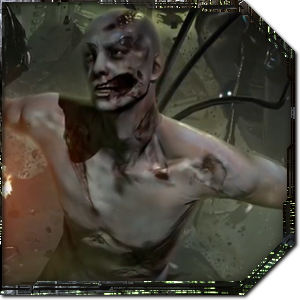 Players eventually discovered that the Circadian Seekers were being controlled from within the Sleeper construct, and they were harvesting our corpses to build new bodies for themselves. After thousands of years in stasis, the Sleepers’ original bodies weren’t capable of surviving outside the equipment, so they were using ours to patch themselves up. Disturbing images of cybernetically modified Drifters put a face on this new emergent threat, and it looked like they were learning about us and arming for war. It wasn’t long before the Drifters had built up a massive force, and players stumbled into Drifter star systems containing massive Drifter hive structures. Later revelations about Drifter physiology indicated that they were genetically similar to the Jove, giving credibility to the theory that the Sleeper civilisation may have been founded by second-empire Jove. The Drifters even consider themselves the inheritors of the Jove legacy, and we know that they’ve been harvesting Jove materials and technology. 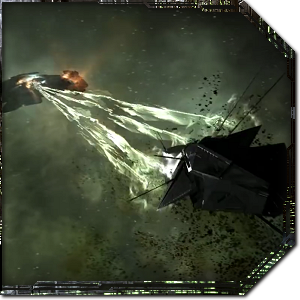 The Drifter storyline took an unexpected twist last year when players started discovering “death ball” packs of Drifter battleships appearing at certain stargates. The drifter ships were always heavily damaged and we had no idea where they were coming from. It turned out that they were emerging from the chaotic and twisted underspace that we now know as Abyssal Deadspace, and they were getting their asses kicked there by an enemy even more powerful than they were. 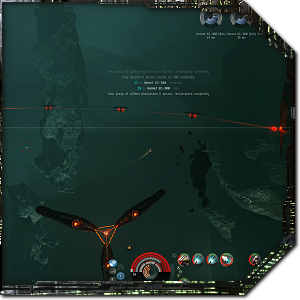 Last year’s Into the Abyss expansion allowed players to temporarily venture into this new unknown region by entangling our warp drives with new “filament” items. Our ships drop into this space in a warp bubble that will last for 20 minutes before it implodes, and we have to fight our way through three rooms of enemies in a cruiser to get back out again. This was our first encounter with the Triglavian Collective, a bizarre race that seems to live in Abyssal Deadspace pockets or in star systems connected to them. The Onslaught expansion built on this foundation with the ability to bring three frigates into the sites for a co-op PvE experience and the discovery of a huge PvP “proving ground” area in which players must fight each other to the death over the contents of a valuable Triglavian cache (and just because smashing each other to bits is fun). The Ancient Domains beyond the Flow of Vyraj were lost to us. Intruders in the Ancient Domains corrupted the flow. Intruders seek to corrupt the Flow of Vyraj and the Domain of Triglav. The Ancient Enemy Azdaja must be extirpated. The Deviant Automata must conform or be extirpated. The Corrupted Narodyna must be extirpated. Human Augmented Narodyna must prove the direction of their Flow. Narodyna moving through the Flow of Vyraj may be fit to enter. Narodyna without fitness will be expelled from the Flow. 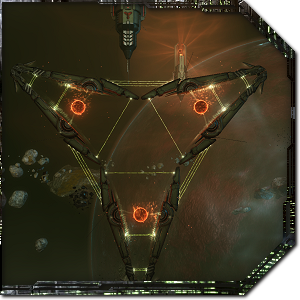 The “Ancient Domains” that the Triglavian Collective mentions could be referring to New Eden, and the Flow of Vyraj may refer to Abyssal Deadspace. We know that Abyssal Deadspace is a chaotic region embedded in regular star systems with stars and planets, so the Triglavian Collective must inhabit these star systems and Abyssal Deadspace could be a conduit between their space and ours. The “Ancient Enemy Azdaja” seems to refer to the Drifters based on the video, and hints that the Sleepers were previously at war with the race that went on to become the Triglavian Collective. 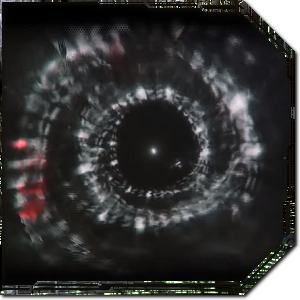 The Deviant Automata refers to rogue drones that can sometimes be found in Abyssal Deadspace, and the message indicates that the collective may be trying to get control of them. The “Corrupted Narodyna” seems to be a reference to Sansha’s Nation based on the video, which is odd as none of them have been spotted in Abyssal Deadspace yet. EDIT: Updated this section based on clues from the video I had missed. Thanks Alex Willis! I’m convinced that the “Human Augmented Narodyna” is a reference to capsuleer pilots, and this is where the message gets interesting. 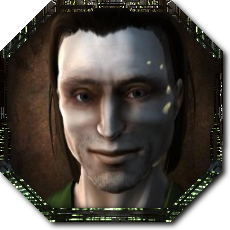 They say that we must prove the direction of our flow and that “Narodyna moving through the Flow of Vyraj may be fit to enter.” What if the Triglavian Proving Ground that pits players against each other in 1-on-1 PvP is actually a test? Could those who pass the test and prove their fitness soon be able to pass through the “Flow of Vyraj” and into Triglavian space? This story has been developing for the better part of a decade and the pace of revelation has accelerated in recent years. Each new piece of the puzzle gives us new questions and sparks new theories, and this recent revelation has pushed the storyline completely off the rails. Personally, I believe that the Triglavian Collective is an offshoot of one of the ancient races that escaped war with the Sleepers by finding its way through Abyssal Deadspace and into a new realm. They may be the remnants of the Talocan, masters of spatial manipulation whose ships and structures have been found throughout Sleeper space. And maybe those of us who prove ourselves could be about to get access to their space. 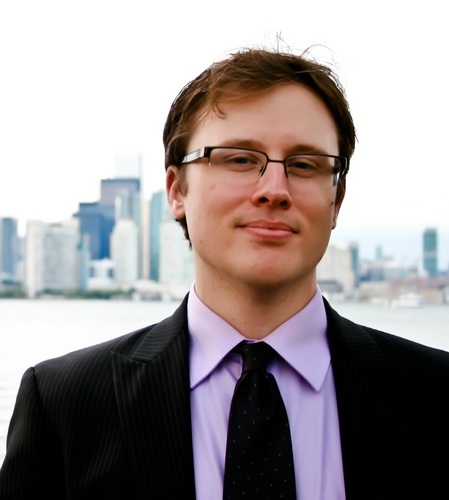 This story is sure to progress rapidly thoughout 2019 and the current story is likely to form the basis for a major feature or content expansion this Spring. I expect the first big reveal to land next weekend at EVEsterdam as CCP kicks off its big year-long Invasion World Tour 2019 event series. I’ll be on the ground this year at EVEsterdam for MassivelyOP to get you the latest on this and any other stories! One of the best articles Ive read on MoP. I knew the beginning of EVE lore but had no clue what was going on in recent years. Thanks for filling in. So is Triglavian another race that had human ancestors or CCP finally introduced an alien race? Thanks Oleg! The Triglavians are definitely human-descended, I don’t think we’ll ever get true aliens in EVE as it’s always been the story of humanity’s failings. The closest we have to aliens would be emergent AI such as the Rogue Drones and an AI that emerged inside the Sleeper construct, but they’re all still a result of humanity’s mistakes. Very interesting. Very good, thanks. Incredible recap. Great stuff. Always really liked EVE lore, and this new story is pretty crazy (in a good way). Thanks for the recap. Very concise. This was an awesome recap. Thanks. Some of those Triglavian message vids are genuinely scary. Reminiscent of The Ring. Great stuff. Would not the “Corrupted Narodyna” be the Sansha? Triglav distinguishes between types of Narodyna, apparently making room for some but saying others are “corrupted”. I can’t help but think that would be Sansha — for what are they if not “corrupted”? Thanks Alex, the first time I heard this audio it didn’t have accompanying video so I missed the visuals in the video. They clearly do show that Corrupted Narodyna refers to Sansha’s Nation, which is very odd as we haven’t seen Sansha ships in Abyssal Deadspace at all. It’s possible that after invading the Jove empire, Sansha’s Nation found its way into Abyssal Deadspace. The Drifters see themselves as the inheritors of the Jove, and it’s possible that they went to reclaim Jove space and found Sansha’s Nation there, and from there found their way into Abyssal Deadspace. It still leaves the question of where exactly Sansha’s Nation is, though.